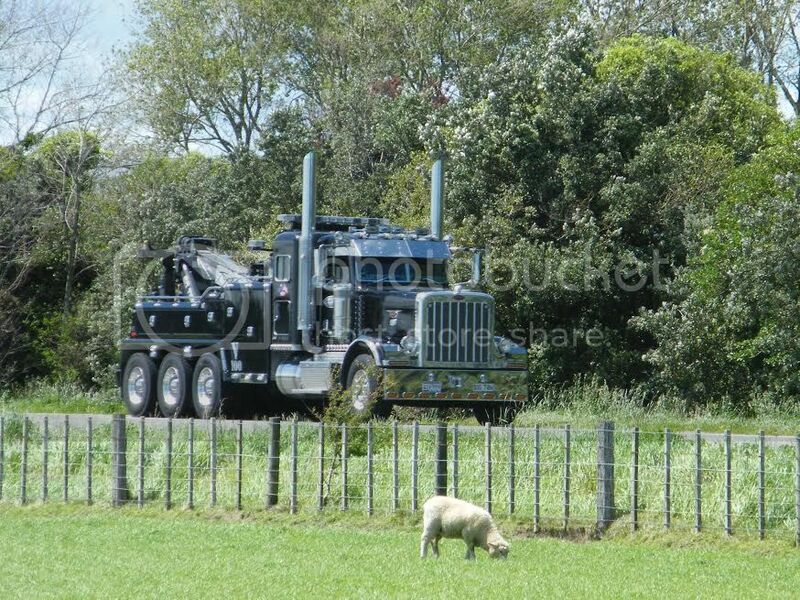 Max has shared this photo of a head-turning Peterbilt, although the sheep doesn't seem to care. This black beauty is a Peterbilt 388 belonging to Truck Towing in Palmerston North. It is apparently pushed along by a 600hp Cummins and is fitted with numerous extras, including large diameter stacks, sun visor, single headlamps, four air-horns an extra axle and lots of lights. I must track it down for a closer look.